This is an interesting nesting frog for the medical profession. 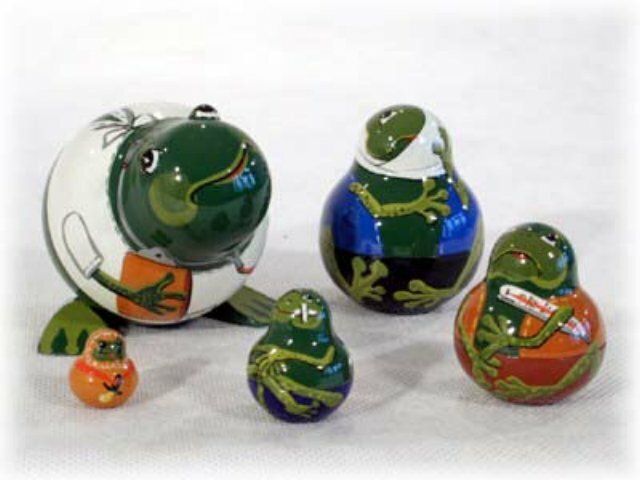 The outer frog doll is a doctor and opens to show a selection of patients, right down to a little tadpole. A Golden Cockerel exclusive hand painted in St. Petersburg!